This is another quick and dirty post inspired by a discussion in a Facebook group. The group is based on the idea of having a FFS (fee for service) practice by design. One member was concerned about the FFS business model, because she is surrounded by a lot of practices competing on price…. Our demographics: office is surrounded by chains and PPO driven practices all marketing free X-rays, dirt cheap cleanings, Saturday hours. The local patient base shops for fees. The local dental chains (2 of them within 2 miles) will do anything for a buck, regardless of the long term outcome for the patient. This is the kind of competition that we have to live with. I am not throwing in the towel, just sharing some of our reality. And those patients that do go to the chains, often end up in our office paying the higher fees. But the tide of mediocrity, the Walmart culture, is formidable. We are outnumbered. Now, of course, just as everyone THINKS they he or she is an excellent driver, most dentists claim to be “excellent dentists.” But, ARE YOU? How much CE do you take? What about HANDS-ON continuing ed? Just sitting in a lecture isn’t going to cut it. Do you know smile design? Occlusion? Can you do excellent endo? Are you willing to use proper isolation for bonded restorations? Are you able to CONSISTENTLY do posterior composites that aren’t sensitive post-operatively? With nice, broad contacts and a rolled marginal ridge? Are you comfortable restoring an entire arch? Full mouth rehabs? What about a 10-unit veneer case? What about restoring implants? Are you confident in taking a fixture level impression? Do your implant restorations look like they grew there? Got that down? Can you make half a central incisor out of composite and make it look REAL? Layered with multiple shades / opacities? Are you willing to take the TIME to do it well? Are you willing to charge a proper fee for your time and expertise? Can you do that and be PROUD of your “high” fee? Can you present the fee with a straight face (and mean it)? Are you willing to have empty spots in your schedule without freaking out? Do you see empty slots as opportunity? Or are you the kind of dentist that HAS to be chair-hopping all day long and booked out two months to feel comfortable? 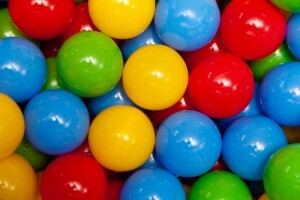 Do you have the “balls” to be different? Or are you better off participating in the “race to the bottom” based on low fees with the rest of the dental rabble around you? I will be the first to tell you that FFS is NOT an easy path. It never gets easier, and it’s never over. Either way, it’s a battle. But, you have to decide which battle you prefer. Do you prefer to race to the bottom? Or would you rather claw your way to the top? Both approaches can be “successful.” Which one will ignite your passion? Do you look forward to Mondays? This entry was posted in Editor's Favorites, Editorial, Practice Management and tagged FFS vs managed care. Bookmark the permalink. 22 Responses to Do You Have the Balls to Be Great? Great article. As a Consultant, I constantly hear, ” Corporate Dentistry is killing me.” When in essence, it it them, the dentist. It’s the confidence level of the doctor or lack of. Also fear their team will not measure up. He wrote of $450,000 for one year. If you track write offs, you can easily see that using that money wisely can purchase a stark marketing plan to attract the patients you want. Did he lose a few patients to a corporate corner? Yes. Ones that respected his dentistry, honesty and longevity? NO! Some returned and apologized they ever left. So the decision is, stay current on CE? No, stay above the curve! I have recently started working for a Dr. who accepts 95% of the Insurance Plans out there. I’m very new to this practice and the demographic of patients. Most are foreign and hard working. She is bringing in 85 NPs a month with a 76% tx acceptable rate. If there is one thing I’ve learned in my dental career, it is not to judge a person’s financial ability, EVER! I totally agree that a Confident Dentist is a necessity and so is the team and the verbage. Throw in a knowledgeable, well trained cohesive team and you are golden. I also found that being a fee for service office gives more flexibility to extend credits , making for really happy patients. I am excited to learn new things at my job, for if I’m not learning I’m not happy. Been 90 percent ffs for 14 years because I joined a practice that was. In many ways I can’t handle it. I hate the open time, I hate the constant battle because you are right that it’s never over. In many ways I wish I’d chosen a path with less resistance. Many many times I’ve wanted to throw in the towel and get more ppos. I said yes to most but not all your questions. The real answer is I probably don’t have the balls for this, because unless you live in a small town without chains it really is a rough way to go. The great thing about being a dentist is that we can design our own practice. It IS a choice. Find one that suits you… makes you excited about going to the office on Monday morning. I know that if I had to deal with insurance headaches every day, my head would explode. I’m not 100% sure if any modality of dental practice would have me ultra excited to go to the office on Monday. I think people that are so passionate about their work that it is like play to them are very interesting. I am passionate about leisure, and I look forward to Saturdays. I enjoy doing a good job when I perform a dental procedure, but admittedly most of the motivation for that is 1) so i get paid and 2) so that the person doesn’t complain about anything afterwards. Frankly, #2 is really my main motivation.. I just don’t want to be hassled. I save 50% of my salary in hopes I’m done with needing to work by 50. That’s a source of motivation for me. I have no desire to ever retire in the traditional sense. I’ve always tried to understand the mind of the hyper successful person such as you. Or even more unexplainable to me are the guys that continue to work when they are no longer in need of the revenue the work generates. If I won the lotto, I’d still go to work. I might take a few more days off for vacations here and there. But, I’d keep at it. I have no “end game.” I don’t consider myself “hyper-successful.” Ha! Don’t believe the “hype” about me! 🙂 I’m slugging it out like all the other working-stiff dentists out there. I like what I do. I really do! In my experience the motivation for most who work just for works sake is THEY GAIN AN INTRINSIC REWARD when completing their work. Dentistry is the one field in which I have achieved this reward. The patients who seek the help of a dentist, especially the frightful or most in need, are looking for someone to deeply care and emotionally attach. Patients sense the difference between a Dentist and his team “performing a job” vs. those who have a “passion for the profession”. This is very prevelant in offices where the Dentist has specialized in a certain aspect of the field. I’m not referring to a Specialsits Office rather a Dentist who realized their niche and uses it to the fullest. These Dentist also attract team members who have the same outlook on the profession. The assistants, hygienists and Front Desk all exude this confidence and love for what they are doing, and WHY they are doing it. This is particularly important for the team member who present/collects finances. This person must love what they do and be able to create a relationship, regardless of the patients personality..
My observation anyway.. Whether it’s true across the board, I’m not sure. So true! I work in a FFS practice, but every once in awhile I think about signing up with the dark side. 2008 has been a game changer forever. The middle class is declining and frankly I don’t see that changing until after Obama, maybe not even after that. Dentistry has turned into a commodity. Definitely true about consistent non-sensitive posterior composites. While I incrementally build my composites, and use a rubber dam, I still get some sensitivity. I have gone back to fourth generation for that reason. Also true about CE. I take tons and I hope to take my fellowship exam this year, but as a mother of two, I pick my battles. I don’t like anything less than perfection, I just cannot deal with that. Realistic implants. Yeah, I kill that! I had a GPR program that restored tons of them, so I really learned to make the tissue work for me. Building up a central incisor? Yeah, I could do it all day long. I love shade matching and creating something truly beautiful. As for confidence, most of it was beaten out of me by my group leader in d school. Although, I still remember the day when he finally told me that I do good work. Most of my restorative group went on to specialize, so I think he also destroyed their confidence. Empty spots freak me out, a lot. But mainly I think that is because I still have a good chunk of loans to pay off. That is the other game changer. I have reasonable loans, at least compared to many colleagues. I would advise anyone who doesn’t have health issues, and even then check because sometimes they will be ok with certain conditions, to go into the Army, Navy, or Air Force. Most of my colleagues and certainly those just graduating really cannot afford to work FFS unless they moonlight elsewhere for a steady paycheck. You are so right. It all has to matter to you! Making sure to hire the RIGHT team member will help out with the other parts. That can be tricky and takes time. Creating the relationship with your patients is the number ONE thing. So are IntraOral pics. If you show the patient the entire process from start to finish.. Pre-Op, decay or cracks etc., fully prepped, post-Op…. They see what you see which increases the patient/doctor bond. The creatin of IntraOral pictures.. And implants 🙂 .. Is the best thing that has happened for dental practices and their patients. Love FFS and the challenge it brings everyday. You literally must stay on your toes in all aspects of clinical knowledge as well as the financial aspects. Keeping a good team happy isn’t really that difficult! So all you need is the right team the right verbiage and clinical skills… Plus about 2000 patients who want to refer to your practice. Love FFS and the challenge it brings everyday. You literally must stay on your toes in all aspects of clinical knowledge as well as the financial aspects. Keeping a good team happy isn’t really that difficult! But keep it small and try to throw another male in there if possible.. Lol So all you need is the right team the right verbiage, attitude and clinical skills… Plus about 2000 patients who want to refer to your practice. Sounds pretty simple, right? I just re-read this column. For instance I know I don’t want to win the race to the bottom… i know that many people seek out “cheap” for the garden variety procedures like basic fillings, crowns, etc… and I can’t beat the franchises on convenience. What other things should I consider? I guess I’d like to continue being a FFS guy…. but I’m sure the most comfortable when I’m doing basic fillings, crowns, endo… and part of me wonders if i’d be happier focusing on extreme efficiency and taking a hit with a PPO then coming up with a bunch of new ways to re-invent the wheel.. I don’t know.. I always feel like I”m at a crossroad. Sometimes I wish i wasn’t a dental warrior, I don’t want to work for a corp…. but sometimes I do wish I’d set up in some horribly underserved area where you just had to build it and they would come… no marketing, no extra BS….. just show up with your only challenge for each day being to do a good job on nice basic procedures and navigate with a busy but not too busy schedule while collecting nice fees. Hi Z! Thanks for chiming on my blog. You’ve outlined a number of ways to shine or stand out. But, those are all technical. “High touch” service is another. Spend TIME with patients (answering questions, explaining diagnoses / solutions, etc). Aim your marketing at the people who are not on a “plan.” Don’t compete for plan patients. What do patients who don’t have a plan want? I guess people not on a plan just want not to get ripped off, they want a plan. They think without insurance that they get overcharged. Which is why you’re in house discount plan is appealing. Other than that I’m not sure. My best patients have some sort of insurance because they have good jobs and thus the revenue to afford decent work. Strangely some of my biggest cases have come from the one ppo I participate with, I think because those people have good jobs. I disagree with your assertion that people without a plan… think plans “protect” them from getting “ripped off.” I have not seen that at all. And, I find the notion rather odd. That’s the first time I’ve ever heard such an idea (in my 26 years in the biz). I added the in-house plan to enhance my practice. But, it’s still a minor portion of my practice. Well I was taking a shot at answering your question. So many people without insurance don’t come because for the stated reason that they don’t have it and the perception is that without it they pay more. The idea is perpetrated by medical when they see massive write offs with an eob. The write off is lower in dentistry but it’s still there and I think that’s how non insured people see it. There also exist numbers of patients, who are acting under illusions & myths generated by the insurance industry. Some actually believe the title “preferred provider” has some superior standing. They are under the false premise that the insurance company’s credentialing process is more than a valid state dental license, proof of malpractice insurance & a signed contract. Sadly, the preferred provider lists of numbers of PPOs reads like a rogues’ gallery of practitioners. Unfortunately, the public is clueless.